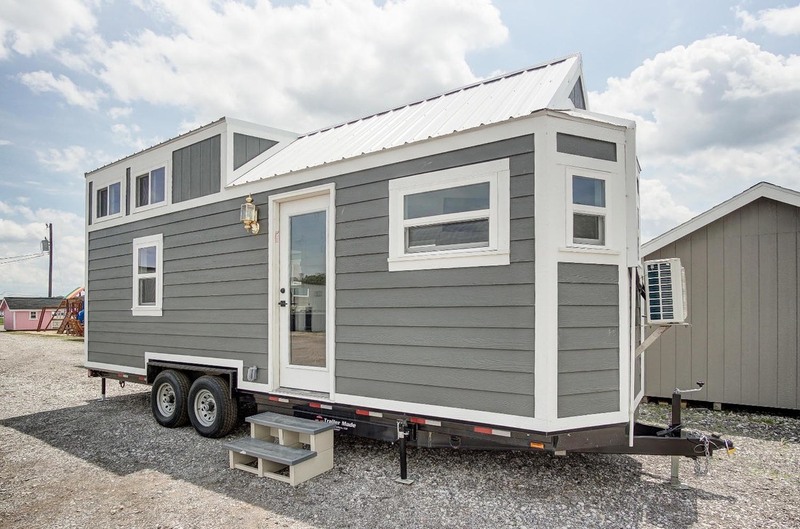 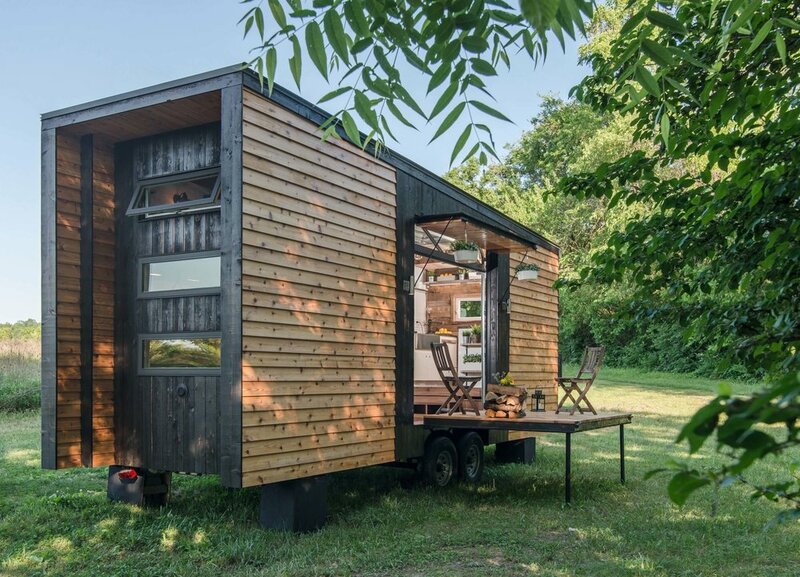 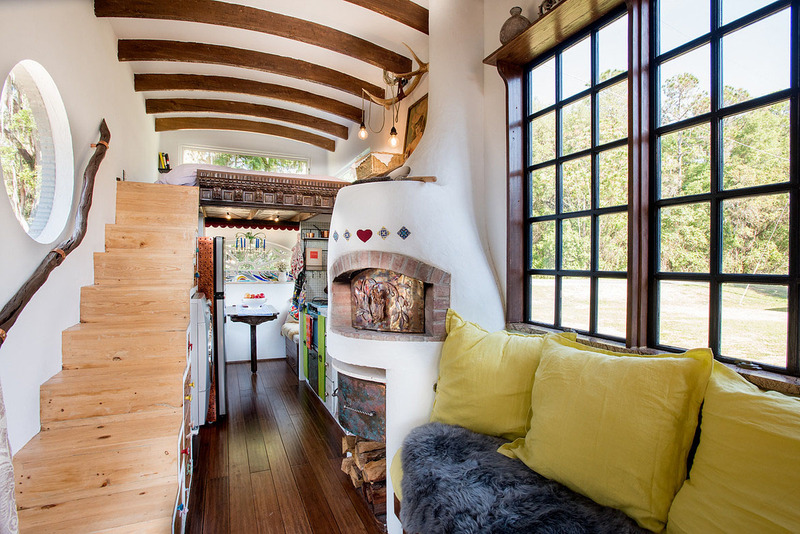 Luxury Tiny House by Modern Tiny Living is a 256 sq. 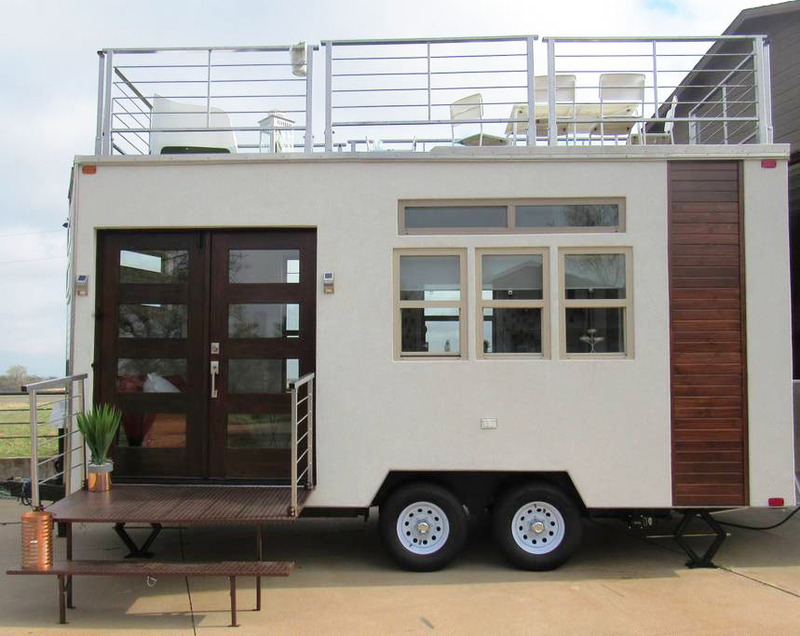 ft. mobile home on a 24 ft. Trailer. 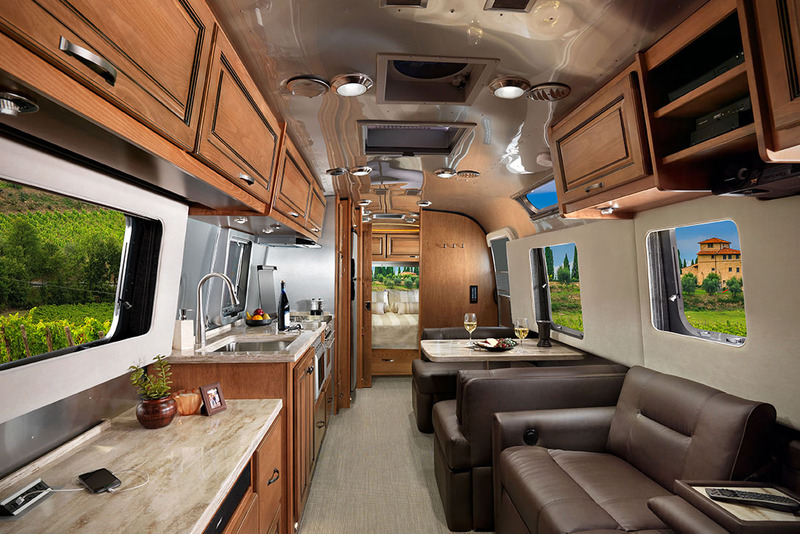 Airstream Classic Trailer is a 33 feet long mobile home with luxurious amenities, abundant storage, elegant design, private sleeping quarters, and spacious living areas. 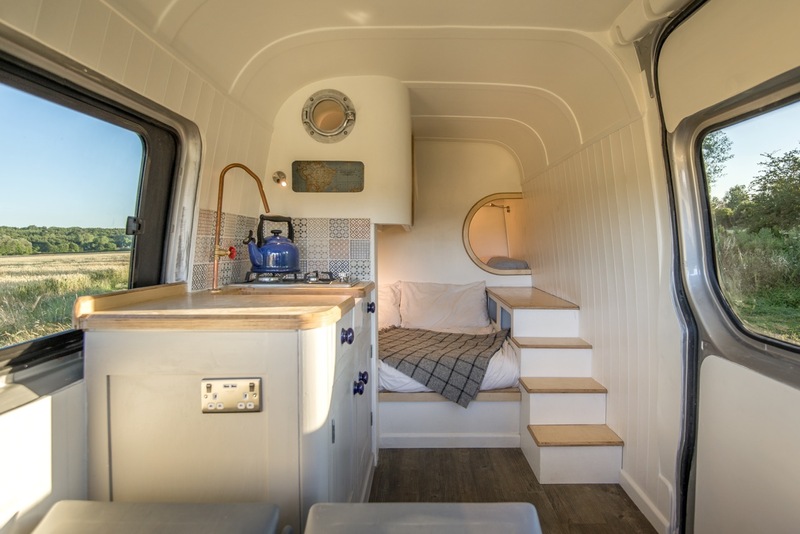 This Moving House is a bespoke luxury camper converted from a 2012 Mercedes Sprinter. 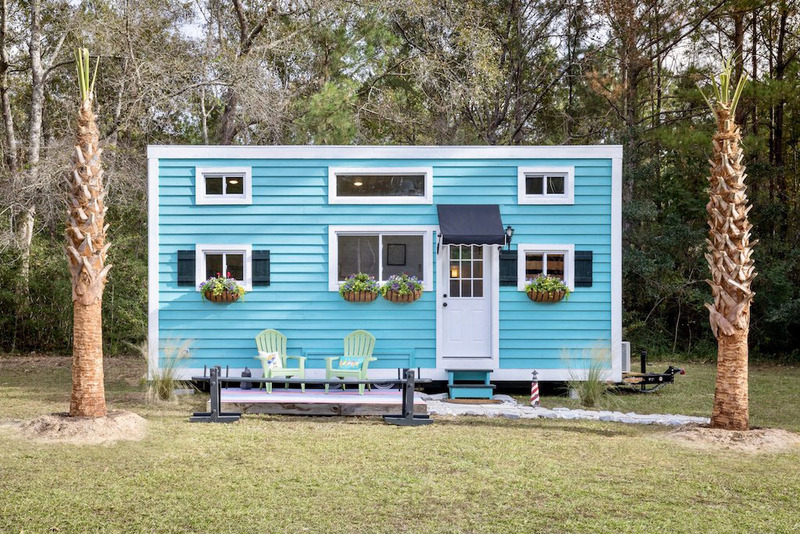 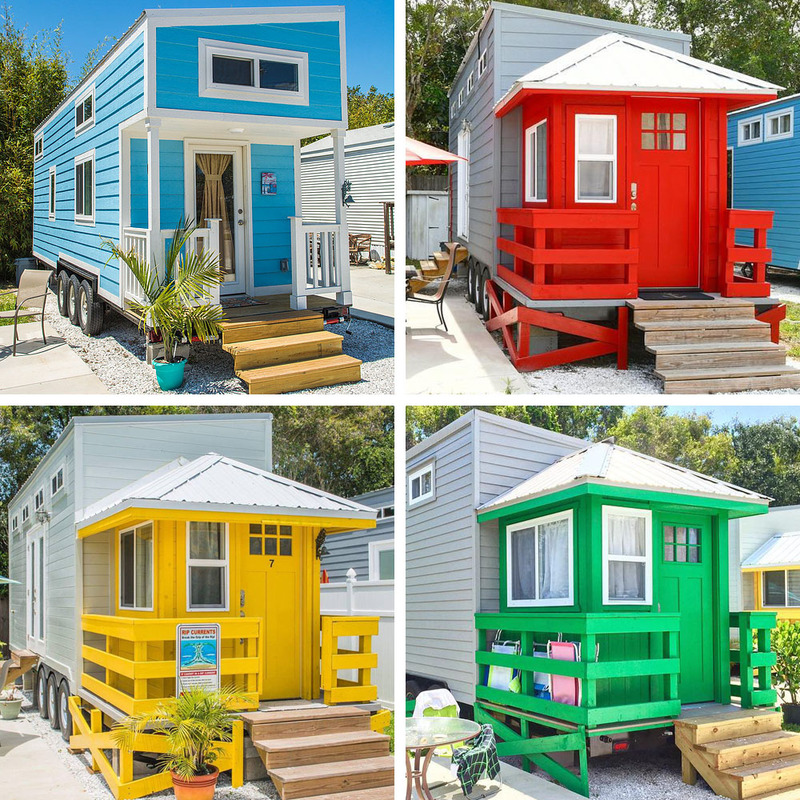 The transformation into a tiny weekend house on wheels was inspired by the concept of boat design.